Let's continue our exploration of the five senses. 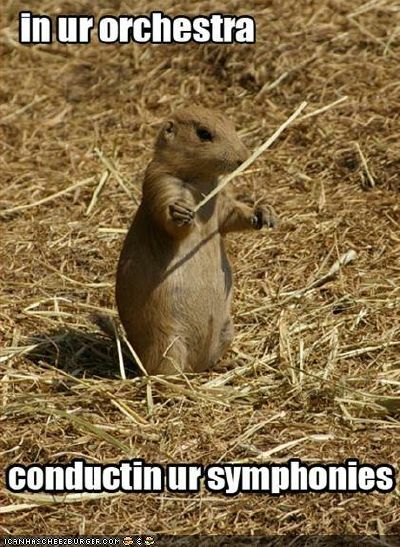 What do crickets and conductors have in common? 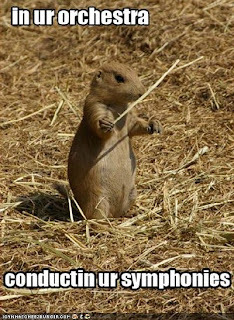 Why, the orchestra, of course! Someone has to direct all that chirping, no? Well, maybe not, but sometimes it seems like the noises of nature combine to make quite a symphony. And who's listening? You can certainly say that South American bush crickets, or katydids, are listening, and listening well. 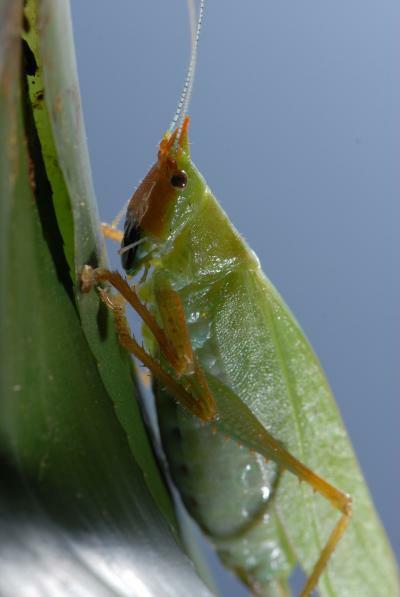 A recent study has found that these katydids, whose ears are on their legs, have a hearing system very similar to mammals but are incredibly sensitive and can detect noises from great distances. Perhaps this study will help unlock some of the secrets to supersonic hearing for humans! Yes, that's right, I'm talking about our sense of hearing. However, I thought we could take a break from all the technical jargon for a bit and simply enjoy our sense of hearing. And what's better to listen to than music? I'm psyched to present our latest interview, this month featuring Dr. Dijana Ihas of Pacific University in Oregon. I met her after she conducted a high school honor band concert and she very kindly allowed me to ask her some questions about her career as a professional musician and music teacher. So, if you play or are learning a musical instrument, or know a music teacher, read and share this interview. The interview is located on the "Work It" page, here; please enjoy and let me know what you think! I hope you all had a great Thanksgiving and that the holiday was a feast for all five of your senses!